Picture this; a teenaged girl with pin straight hair and a face painted with makeup belts out obvious facts in a singsong voice using a turkey leg as a microphone. Her hymn is projected towards a table of her peers and a middle aged black man who happens to be wearing a turkey costume. Seems ridiculous you say? I completely agree, however this exact scenario may be the next viral sensation on YouTube. The popular American holiday Thanksgiving is the topic of the music video in Nicole Westbrook’s “It’s Thanksgiving.” The 12 year old Californian singer has released her debut hit which is now available for purchase on iTunes. The official music video, which was uploaded to YouTube on November 7th, has already accumulated nearly 10 million views and counting, proving it to be a good candidate for the next viral video. Many YouTube users have compared the song and video to Rebecca Black’s viral hit “Friday,” which makes complete sense considering both young girls have acquired their fame as a result of the Nigerian musician and music producer, Patrice Wilson. Founder of ARK Music Factory and Pato Music World, Wilson is notorious for finding young artists and providing them with low-cost entry to the pop market. Black and Westbrook are just two of the many young girls and boys that have been submitted to Wilson’s mainstream aspirant musical wrath. Others include; D’lannie, Will Craig, Hannah Rose, Abby Victor and more. With each child featuring an equally cheesy ballad, Wilson has been criticized of taking advantage of rich children and their parents, but denies these claims. Remember “Friday,” the highly repetitive yet undoubtedly catchy pop tune that went viral on March 11th, 2011? The original music video was released by Rebecca Black on February 2011, gaining only a thousand views until a month later when Tosh.0 and Michael J. Nelson both brought attention to it, calling it “the worst video ever made,” via Twitter. By June 15th, 2011, the video had gained a whopping 166 million views and 3.2 million dislikes, making it the 22nd most watched YouTube video of all time. 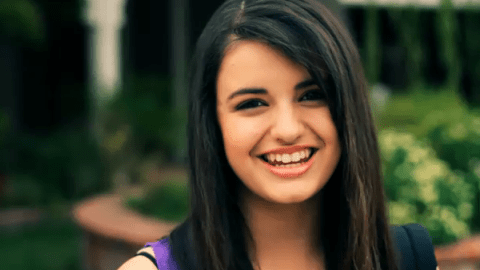 On June 16th, it was taken down by the request of Rebecca Black herself in response to news that ARK Music Factory had begun charging users to view the clip. However, three months later the video was re-uploaded and currently claims an additional 43 million views. With lyrics rejoicing “It’s Friday, Friday/ Gotta’ get down on Friday/ Everybody’s lookin’ forward to the weekend, weekend,” Black takes us through her morning routine and then is accompanied by her teenaged pals of which are apparently very excited for the weekend. Later in the video, after you’ve spent several minutes doubting the ages of her friends who surely cannot be old enough to drive, Patrice Wilson himself joins in the excitement to supply the rap verse. Similarly, Westbrook’s debut hit walks us through the anticipation of a “good time,” whilst demonstrating the steps to preparing a Thanksgiving dinner, touching on the excitement of surrounding holidays as well. Both songs follow a familiar style both lyrically and musically. Singing in the familiar auto-tuned voice that Wilson imposes on all of his artists, Westbrook calls out “Oh oh oh it’s Thanksgiving. We we we we are gonna have a good time.” Just as in “Friday”, Wilson makes an appearance, this time as a Thanksgiving guest at the front door dressed in a…turkey costume. The holiday mascot hangs around for the rest of the video and enjoys dinner with Westbrook and her underage friends, singing a few lines of the song and dancing in the living room. In contrast with “Friday,” Wilson doesn’t do the rapping in this video; instead, Nicole herself drops a verse for the table, using a turkey leg as a microphone. Let’s keep in mind that her parents, or any adult besides Patrice for that matter, are nowhere in sight. In the past, YouTube users have incessantly proven to be drawn to the eccentric and unusual, especially in music videos as illustrated by PSY’s latest hit “Gangnam Style,” which recently went viral with nearly 775 million views. Forbes, business magazine, stated that “Friday’s” success “demonstrated the power of social media, especially in creating overnight sensations.” “It’s Thanksgiving” has shown to be no exception to that rule, continuing to gain attention and popularity each day. However not all attention is good, and just like Black, Westwood has already received a majority of dislikes on her video. Yet she seems to be dealing with the negative response to her music better than Black who was devastated by the harsh criticism of the public. With almost 152 thousand dislikes, the young singer told MTV, “I know there’s some negative comments, some positive comments but all in all I haven’t really paid much attention to it.” The video has already been covered, parodied, remixed, and turned into a cartoon. Nevertheless, Thanksgiving is soon approaching, and as it passes, the relevance of the hit may pass as well. If it does…well, that will be one thing to be thankful for.